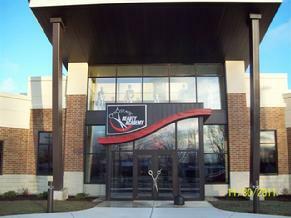 99% of the custom hardware is made right here! 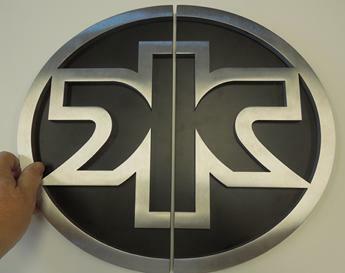 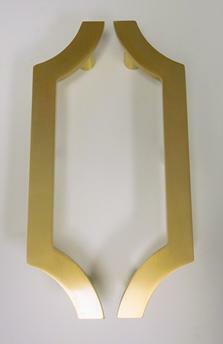 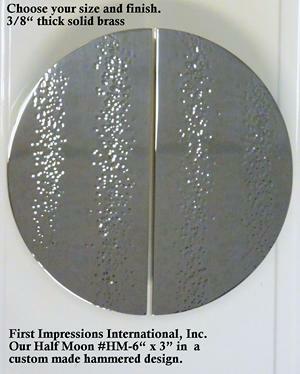 First Impressions International' custom door hardware division has created an endless array of themed door pulls, logo pulls,custom letter handles, and custom furniture. 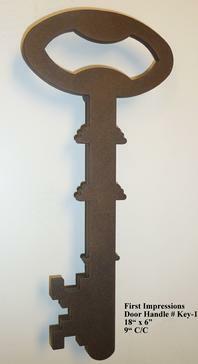 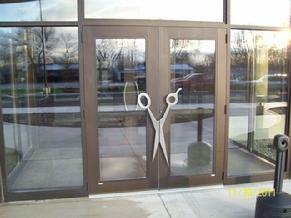 There is no design and concept of custom door hardware that we walk away from. 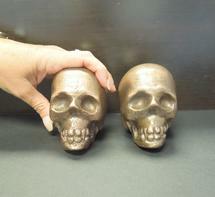 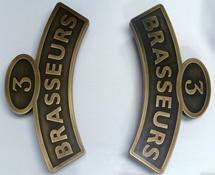 A pair of solid brass skulls made for newell posts. 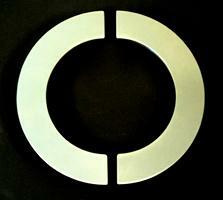 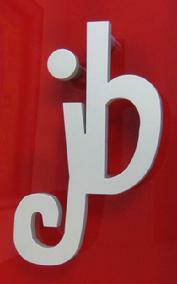 Engraved, hand painted logo door handle "Oribe Salon". 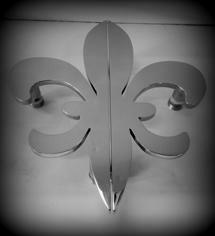 Another of our C" shaped handles. 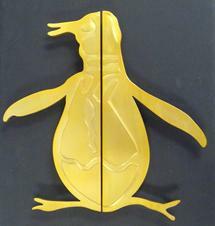 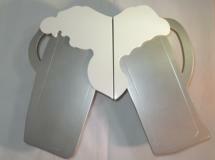 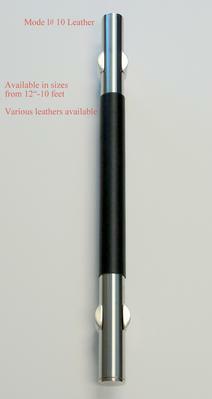 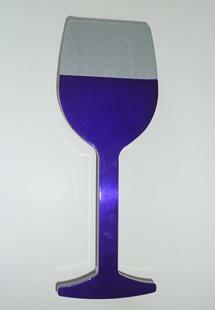 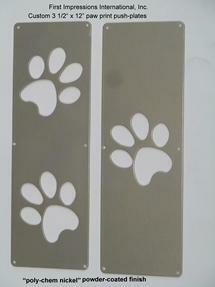 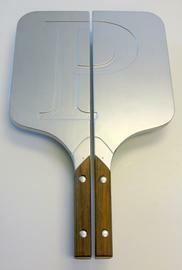 Tusk Door Pull 4' x 3" wide brushed aluminum handles with anodizing. 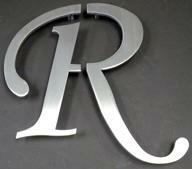 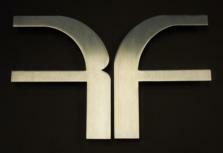 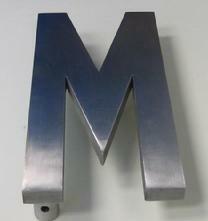 A custom "R handle split in the middle out of 1/2" thick brushed stainless steel. 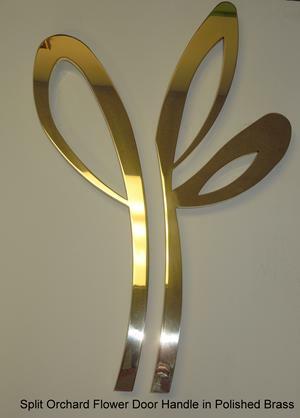 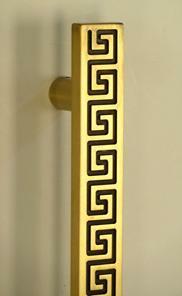 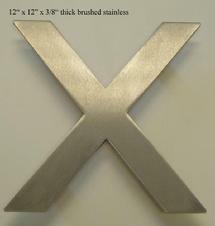 Door handle design for "XTREME LUXE" Company. 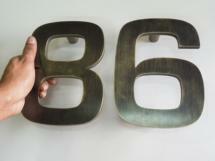 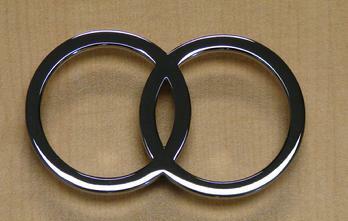 Toyota logo door handles out of solid brass with satin nickel finishing. 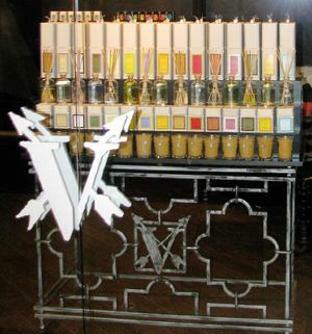 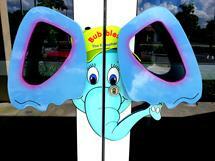 It has been 14 years of creating what your imagination has conceived! 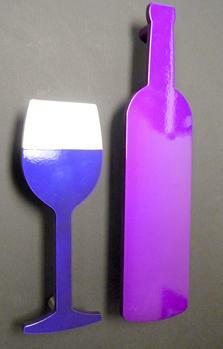 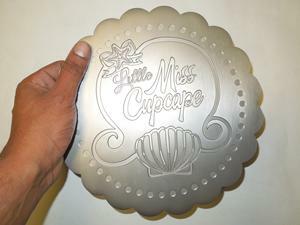 Put your name, brand or your message in the hands of your customers!! 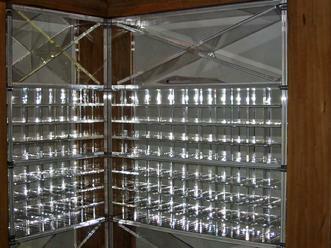 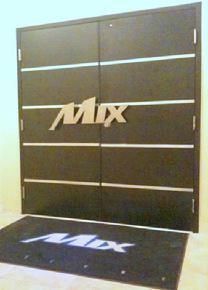 We'll make your vision in any material, beautifully, quickly ....and best of all, affordably. 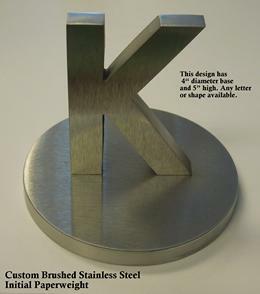 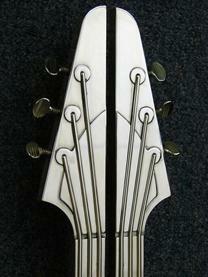 Please take a look below at some of the custom jobs we've created. 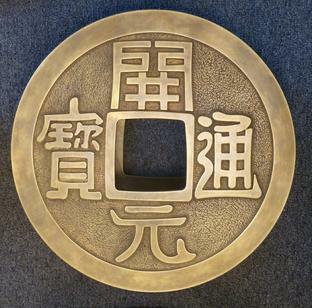 Custom Made Chinese Coins in 15" diameter! 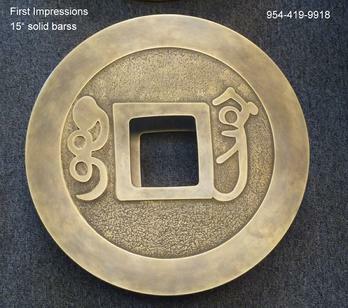 Made from solid brass, in an aged brass finish and available in any size, and "meaning"
Solid brass custom made 15" round good luck coins. 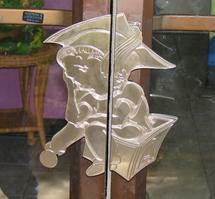 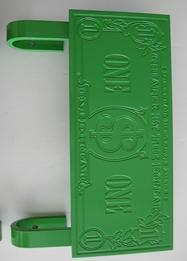 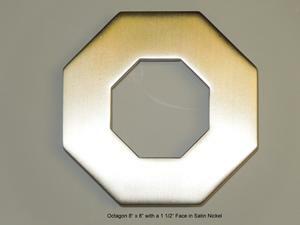 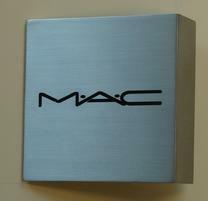 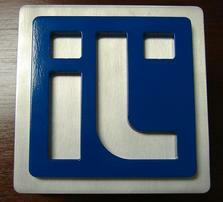 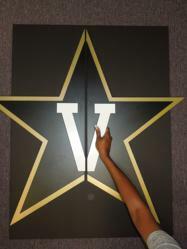 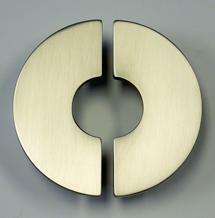 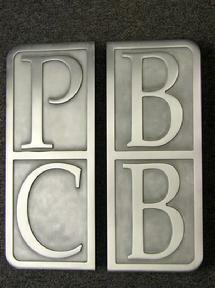 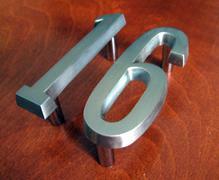 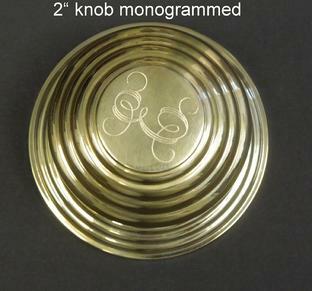 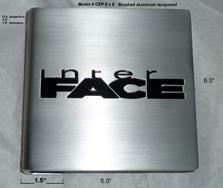 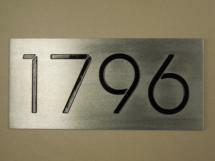 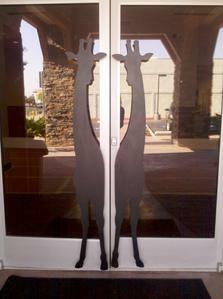 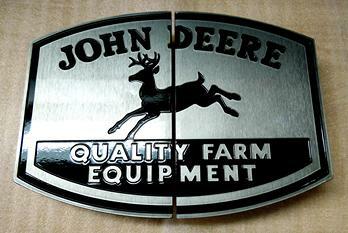 Custom engrave your name or logo on these commercial door handles!! 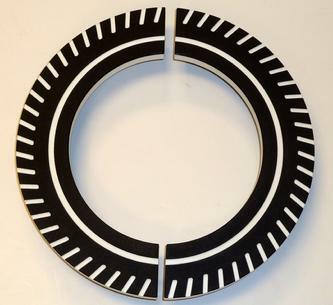 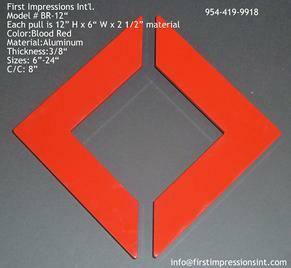 "Put your brand in the hands of your clients"
The 12" x 6" will fit onto and into the standard storefront door holes. 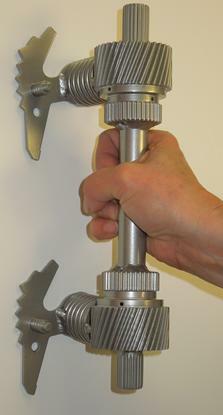 Just remove the old handles and replace with the CEP-12x6. 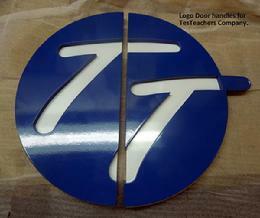 We accept EPS, DWG , DXF and hand drawn files. 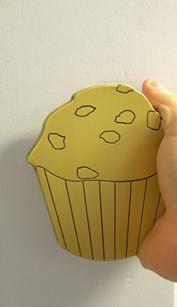 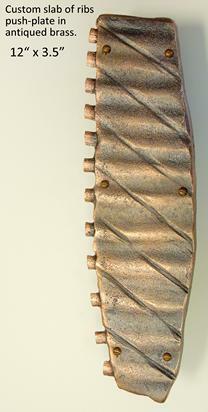 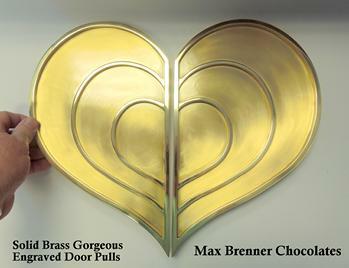 Custom Muffin handle for Bakery in solid brass with antiquing. 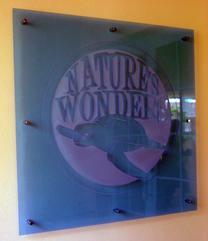 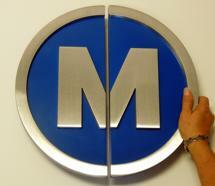 One of the many custom signs we've done in acrylic. 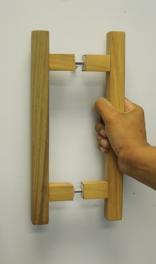 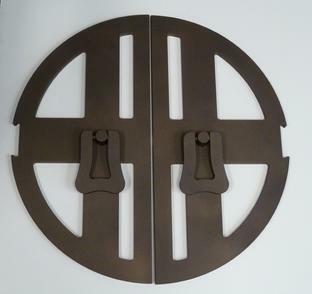 A LISTING OF SOME OF OUR DOOR HARDWARE PLACEMENTS. 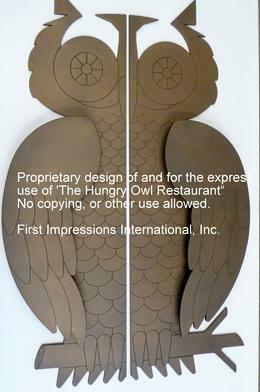 HUNDREDS OF RESTAURANTS ALL OVER THE WORLD. 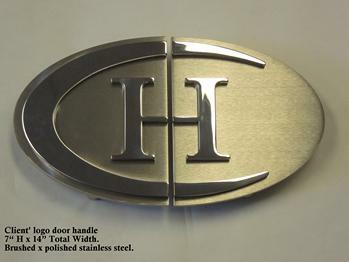 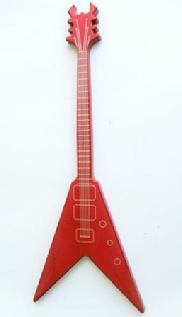 Below you will see some of our excellent detail work on guitar door pull handles for the "Hard Rock Hotel" in Oklahoma. 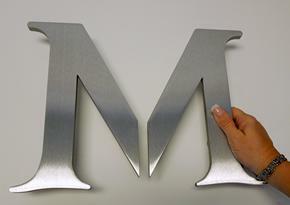 Close-up of the detail we're capable of, by hand. 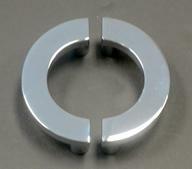 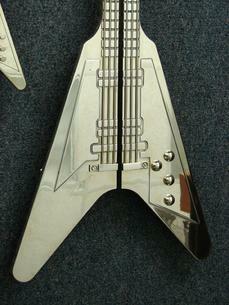 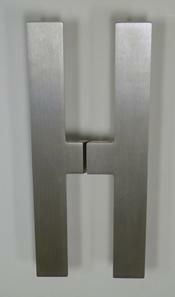 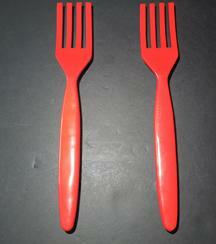 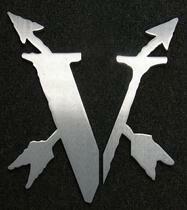 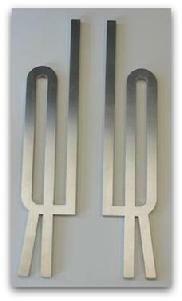 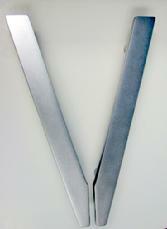 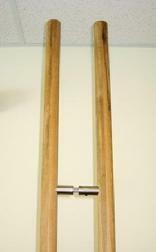 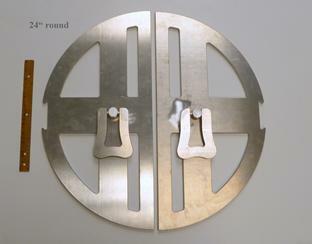 A pair of door pulls in the shape of a "V"
Economy door handle made from aluminum tubing. 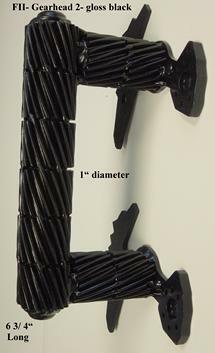 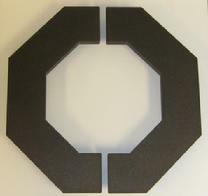 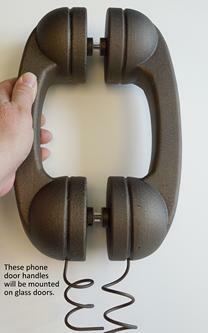 durable 1" powder coated black. 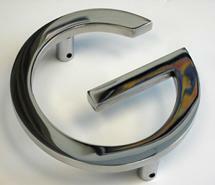 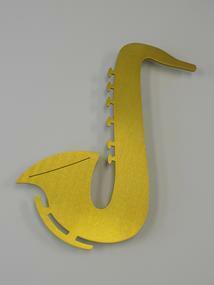 Guitar handles, logo door handles, animal handles, letter and numbers pulls, acrylic handles, home theatre handles, curved pulls, church handles, wood handles, kitchen pulls, restaurant handles, germ free pulls, engraved pulls, sports handles, custom made lamps, push-plates and pull plates. 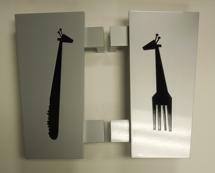 martini glass door pull, giraffe shaped pull, owl door pull, gun door handle, football door pull, bank door handles, key shaped door pull, cigar door handles, heart shaped pulls, rolling pin door handles, golf club door handles, wisk door handle. 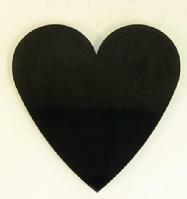 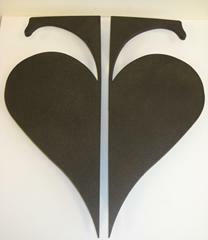 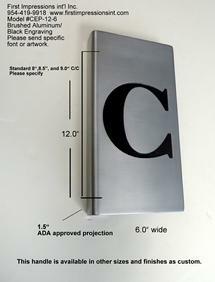 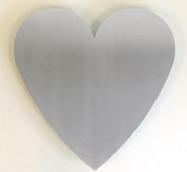 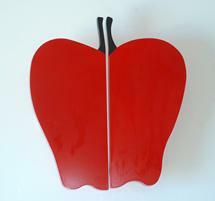 Large 16" x 16" Heart Door Pull in aluminum we will powdercoat in black. 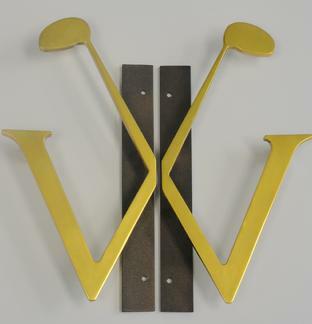 We fabricate custom door handles, custom door pulls, restaurant pulls, logo door pulls, custom commercial door pulls, glass door pulls, retail pulls, golf club handles, letter and number handles, custom shower handles and acrylic pulls!! 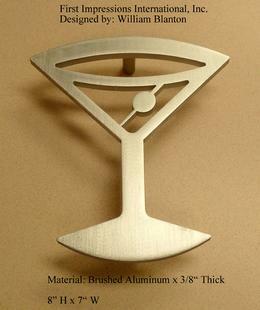 We use aluminum, brass, acrylic, stainless steel, wood such as teak and mahagony, bronze, titanium and glass to fabricate your ideas. 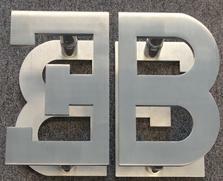 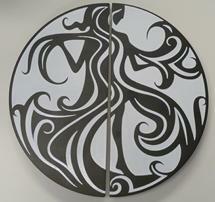 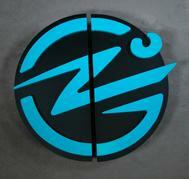 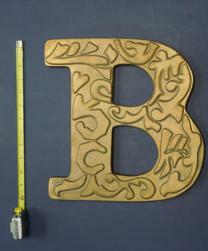 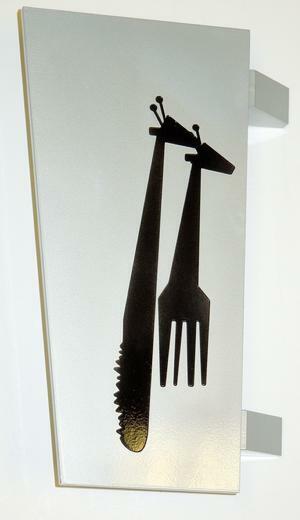 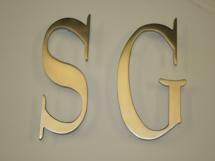 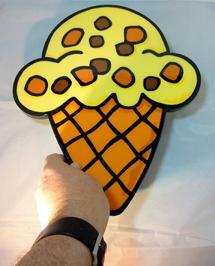 We now do custom signs, custom tables, custom furniture, artwork and more. 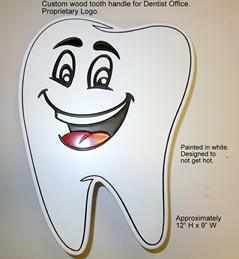 we dream up to accomplish these requests! 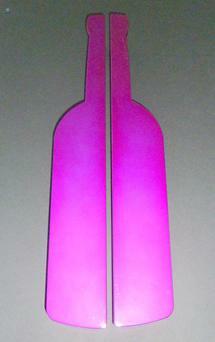 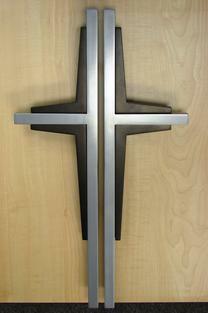 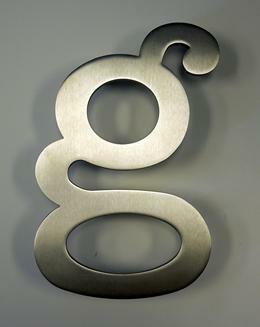 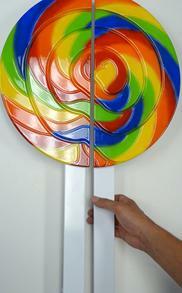 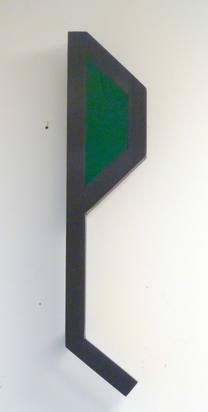 This one is 8 foot long x 1 1/2" diameter with satin nickel brackets. 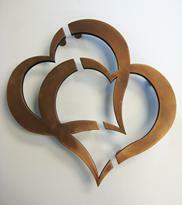 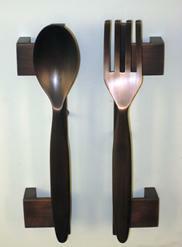 Teak is great for outdoors and can be stained, polyurethaned or painted. 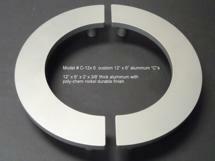 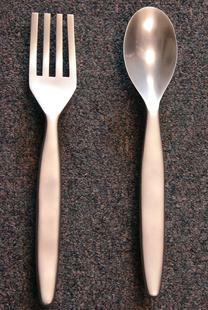 Any length and most diameters are available. 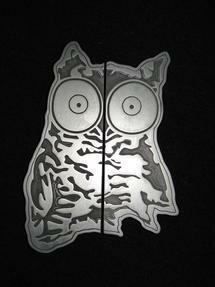 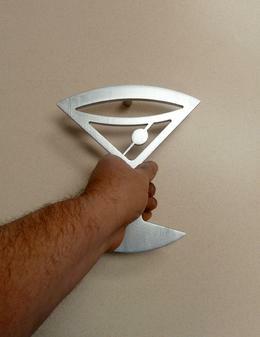 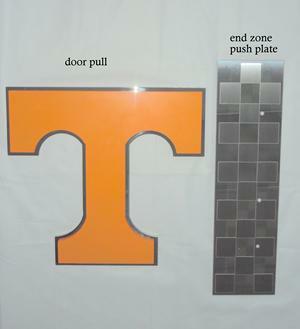 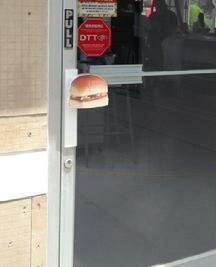 customize a door handle in almost any shape ! 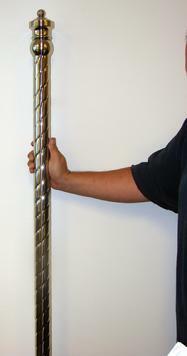 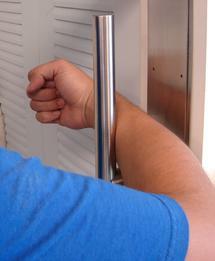 shown : 1/2" stainless solid rod. 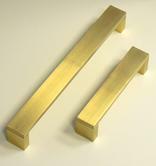 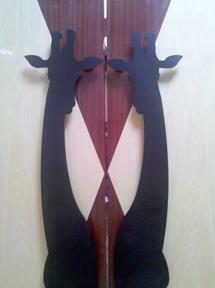 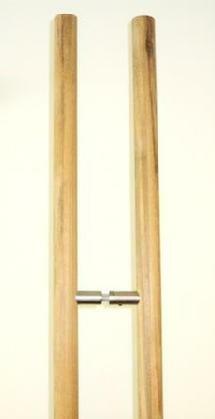 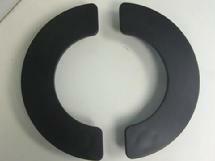 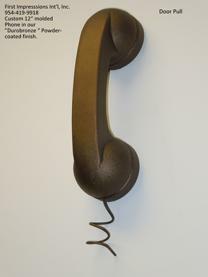 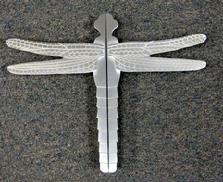 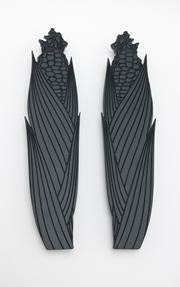 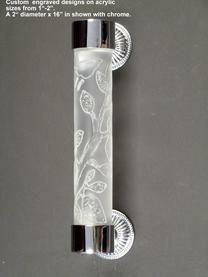 Check out our regular line of door pulls for more options. 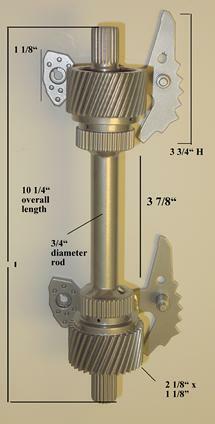 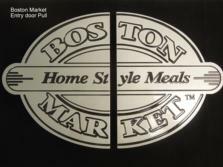 custom cabinet knobs, pizza door handles, sports related handles, custom door stops, custom pocket/flush handles and more!